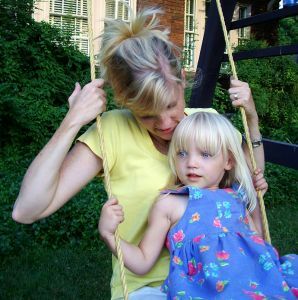 If you're thinking about preschool homeschool and don't know where to begin or don't feel like you're not creative enough to put together a preschool program, then let me introduce you to Kate Funk from Ready Made Preschool. She has done all the hard work of putting together a preschool program and even included all the materials in a well organized manner. What is your curriculum and what makes it different from a traditional curriculum package? Preschool children are capable of so much more than just playing. If they are provided with the right learning environment, they can begin to develop many important early learning skills. This environment needs to be fun, positive, age-appropriate, and incorporate hands-on learning. Unfortunately, homeschool families are challenged to find Christian-based teaching materials that meet these requirements. The majority of the homeschool curriculums available for preschoolers involves using workbooks. Furthermore, parents often do not have the time to plan their lessons, gather the necessary materials, and prep them accordingly. Ready-Made Preschool overcomes these problems by providing you with a complete program that includes a quality curriculum. Every day is planned and prepared for you, allowing you to spend more quality time with your child. Almost all of the materials and supplies are included in your kit and are packaged and labeled so they are easy to find. The crafts are pre-cut and the games are made for you eliminating the prep time. With Ready-Made Preschool, you can engage your preschooler with confidence and ease! What types of learning styles does your curriculum cater to? Ready-Made Preschool's curriculum caters to all learning styles. We believe all preschoolers learn best with a hands on, kinesthetic system of learning that involves using lots of different media. How much parental involvement is needed when using curriculum? All the materials for each lesson are cut, prepped, packaged and ready to go. So all the parent has to do is pick up the lesson manual which provides detailed instruction and enjoy teaching their preschooler. Older siblings could even teach the lessons. The only thing the parent must do to prepare in advance is make sure they have the story for the week. 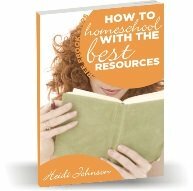 The literature we selected is easy to find at a library and many homeschool families own these books already. How long has your curriculum been around and how did you get started? This is our companys first year. It arose out of my struggles of trying to educate my older children while trying to provide a meaningful preschool experience for my younger child. Even though I’m an experienced preschool teacher with a teaching degree and have already prepared many lessons, I still found it difficult to plan and prep accordingly. I have heard this struggle echoed in the homeschool community, among those experienced, and those just beginning their homeschool adventure. Is there a certain order I should follow when using your curriculum? We recommend using our Seasonal ABC's -Level 1 first and then moving onto our Seasonal ABC's Level 2 which will be released in the spring of 2012. How many lessons are in each preschool homeschool package? Each kit is intended to be completed in a school year, containing 30 weeks worth of lessons. The daily lessons are designed to be completed in 30-40 minutes and have activities that are thematic and revolve around the letter of the week. Each lesson has a corresponding literature selection as well. Remember why you are homeschooling and don't get caught in the trap of feeling like you are not doing enough. Thanks so much to Kate for providing this preschool homeschool program for parents. I love the way it is all organized into envelopes and folders. It would be so easy for parents (or older siblings to use). For more information or pricing on this great preschool homeschool program, you can head over to Ready Made Preschool.